Josh Small | You hear that?!? Important Life Lesson, Part II: Yesterday, I made a case for going early to concerts, because you never know what the opening act gods will send your way. This goes double for Justin Townes Earle shows. 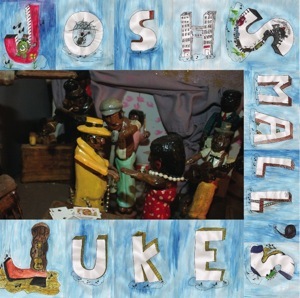 First it was Joe Pug at the Southern, and then Friday at the Camel, I found out about Richmond local Josh Small. Within moments of starting his opening set, his passionate singing and foot-stomping steel guitar playing made it feel like we were all sitting on the back porch of a cabin deep in the woods, soaking in his intricate and energetic brand of southern-influenced folk. I picked up both his albums (sound familiar? ), and am so happy I did. His most recent is called Juke and features the same passion I saw live, but with the added bonus of eclectic instrumentation.